It’s strange the way ideas come into a writer’s head: often at the oddest times and in the most unexpected places. In creative writing workshops, aspiring writers often ask for tips about finding inspiration. I tell them about my love of travelling on public transport. Buses, trams and trains are the perfect places to people-watch. And to eavesdrop, just a little. Overheard snippets of conversation; the way people walk; the way that that couple across from me have suddenly stopped speaking…all of these vivid, real-time dramas spark a response in my imagination. I take out my notebook and write a couple of sentences, or just a word or two, to remind me later on of what has struck me at the time. Afterwards, sometimes long afterwards, I’ll use in my writing whatever that moment has illuminated for me: whatever I’ve seen or heard or imagined or remembered. It’s fun. It’s free. And it works. Even better, then, to travel on public transport with a friend and fellow writer. On the number eleven bus some time ago, on our way back from an event at the Irish Writers’ Centre, Celia de Fréine and I began discussing the ways in which women’s voices have been silenced throughout the ages. It’s something of a preoccupation of mine at the moment: it’s one of the reasons I’ve been drawn back to the roots of story, to the Greek myths which tend to narrate events from the point of view of the victor: rarely the victim. In my last novel, ‘The Years That Followed’, I tell the tale from Clytemnestra’s point of view – a woman often regarded as scheming, vengeful and wicked. I wanted to give voice to her experience, to break the silence that surrounded her story. To explore the reasons why she sought revenge, why she schemed, why she behaved as she did. During the course of our conversation, Celia and I became more and more intrigued by the concept of all those voices that have been forgotten – those that have remained unheard, unremarked and unconsidered. Another writer friend, Martina Devlin, joined in our discussions and a few enthusiastic meetings later, the event ‘Forgotten’ was born. We have a wide historical sweep as our background: Martina’s work explores the events that led to the trial in 1711 of eight women convicted of witchcraft in Carrickfergus, Co Antrim. Celia’s work reimagines the life of Mary Duffy, one of the four people who lost their lives in the Bachelor’s Walk Massacre in 1914 in Dublin. And my piece examines the experiences of the women who emigrated in their droves from Ireland in the 1950’s – driven away by a combination of economic pressures and a desire for freedom and self-determination. Our event will take place in the beautiful surroundings of Rathfarnham Castle, and we are delighted to feature three talented actors who will give voice to the voiceless: Lise-Ann McLaughlin, Orna McDonald, and Nicola Abernethy. 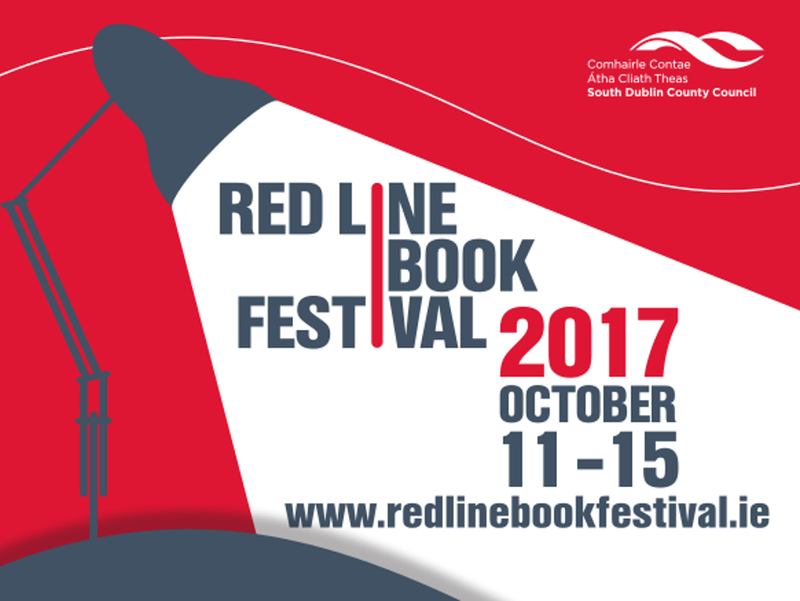 As ever, the Red Line is a lively and inclusive festival: one that keeps on going from strength to strength. I’m delighted to be part of it again in 2017, and I know I speak for all of the collaborators in ‘Forgotten’ that we are very much looking forward to Friday the 13th.